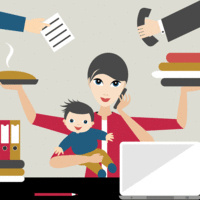 Work-life balance can feel like a moving target for working mothers. In this session, Shannon Rinkinen and Jen Wall share stories and ideas both humorous and helpful to bring some sanity Monday through Friday. Register online. Feel free to bring your lunch; beverages will be provided.